Beach chairs are good, reliable fixtures that you can take on the beach so you will have a spot to sit down and enjoy the place without getting sand on your rear. A quality purchase will allow you to enjoy the chair for a long time and will not prove to be a hassle. If you are on the lookout for a beach chair that will accommodate larger folks, here is a review of the BeachMall Big Jumbo XL Beach Chair for plus size folks. 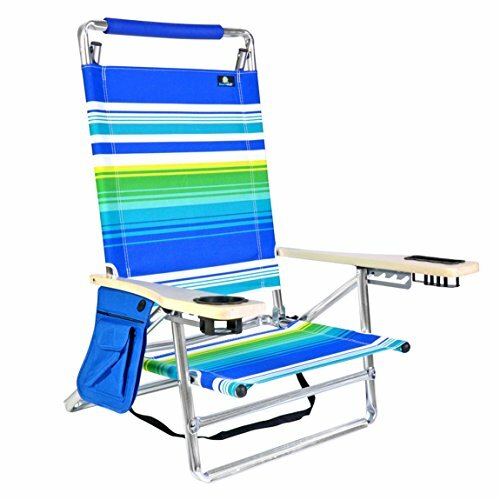 An aluminum beach chair like the BeachMall Big Jumbo is often lightweight so it can be transported from one place to another without hassles. However, they are sturdy enough to be positioned straight and last for a longer period of time. Aluminum is a kind of material that is known for its resistance against the usual issues like corrosion and rust. Due to its resilience, it is even used in rockets and space capsules. In earlier times, the material was not widely used on furniture and was only employed on fixtures like folding chairs. However, through the years, aluminum has undergone plenty of changes. These days, the methods that are used in creating aluminum bring plenty of opportunities for producing a good number of designs. 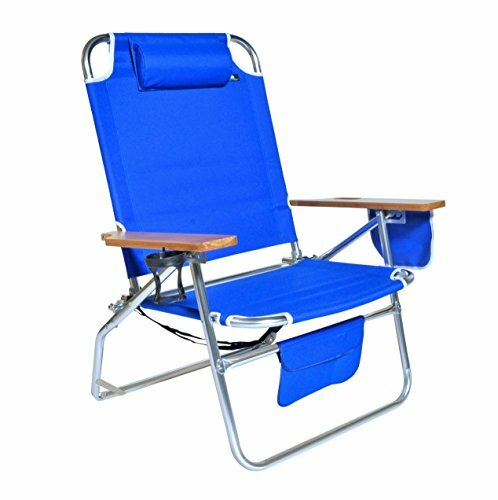 Aluminum is a material that weathers excellently, so it is the perfect choice for beach chairs. It can endure a variety of temperatures. 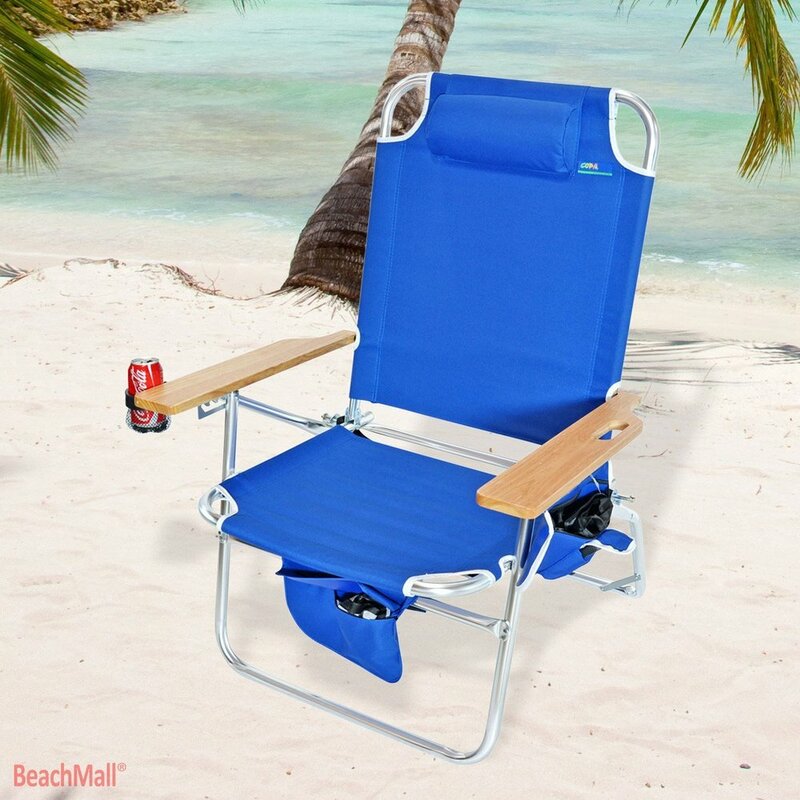 A beach chair like the BeachMall Big Jumbo is often exposed to the elements, and because it is made from aluminum, it can stand up to elements like salt water, salt air, sunlight, heat, the cold and rain. Lastly, it is a material that is ideal for individuals with busy lifestyles. It does not require all-out maintenance, unlike other materials, so you can retain your furniture’s integrity without many hassles. Just wipe the fixture regularly to guarantee that it will stay clean. Every so often, you can hose it down until the parts are sparkling clean. The Big Jumbo chair is designed to be used by heavier individuals. It is quite strong due to the anodized aluminum frame with steel reinforcements and double-layered 600 Denier polyester fabrics. The frame has rust-resistant properties as one would expect from an aluminum model, and it has arms that are made with weather and abrasion-resistant hardwood material. This means that the chair will last for a long time and stay good as new. It has a weight capacity of a whopping 500 lbs. and features extra-large seat dimensions when it comes to height and width. It is 16 inches off the ground so individuals with a taller height will still feel comfortable seated on the chair. It can also recline into 4 different positions so you can comfortably take a nap and relax on it. Other items available on the chair include a rear-access carrying pouch, a zippered storage pouch and a drink holder. One of the drawbacks of this chair is that the connection between the back frame and armrests are not steady. Furthermore, the arms have a tendency to change back positions every so often. Overall the BeachMall Big Jumbo XL Aluminum Beach Chair is a sturdy aluminum model that will easily accommodate bigger individuals. It has the weight capacity to do this, plus it’s made from quality aluminum. It is a comfortable chair and worth the price you pay for it. In case you want something that is weather and scratch-resistant, aluminum and hardwood is something you have to consider, since these materials are often excellent. This is a recommended buy for larger folks who seek durability, sturdiness and comfort all at the same time.